It’s been one year since YourSTLCourts was piloted in St. Louis County! In a short period of time we have gone from unincorporated areas of the county to over 40 municipalities participating in this online platform. 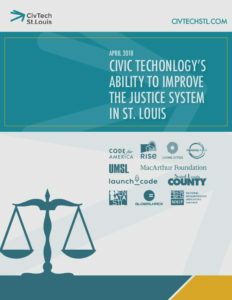 To allow other cities to better learn about the process and the lessons from St. Louis, we have put together a downloadable whitepaper describing what was happening in the region, what our solution was, how we got to that solution, and what our program does to improve the lives of St. Louis area residents.